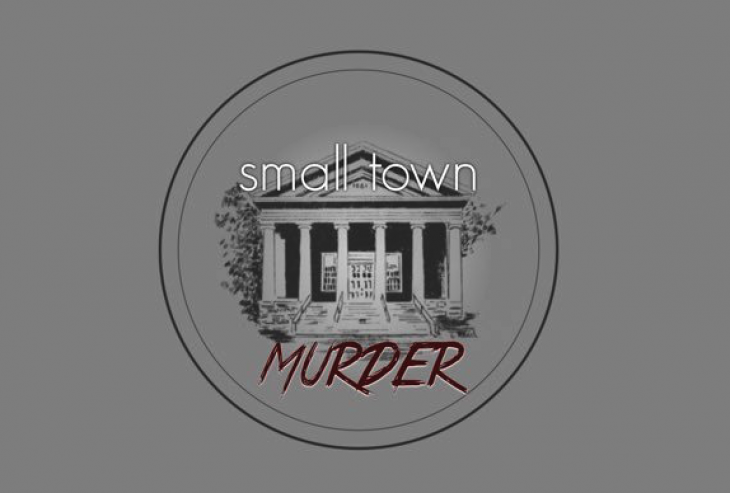 In January 2017, the podcast “Small Town Murder” debuted. (The above description is from a recent episode.) Hosted by comedians James Pietragallo and Jimmie Whisman, each episode discusses a murder in small town with a humorous twist. The podcast has 89 episodes and counting, a dedicated fan base and releases new episodes every Thursday. While the podcast has its success, the hosts are adamant that murder and humor are not necessarily for everyone. Storybench spoke with Pietragallo to discuss what goes into the making of each episode. What was the inspiration for the series? For ‘Crime in Sports’ and ‘Small Town Murder,’ I was just looking for a different podcast. I like to listen to podcasts and there wasn’t really a lot of what I wanted to hear. I liked True Crime, but it was just very serious, so I thought there has to be a way to mix it up. How would you describe your podcast to someone who has never listen to it? ‘Small Town Murder,’ it’s dark humor. I would give it the basic description: there’s a small town and murder takes place in it, and we’re going to joke about it. That’s the best way to put it. I try to be honest. I don’t want anybody going in there thinking they’re listening to Dateline. We don’t try to fool people into thinking it’s serious and then, ‘Hey, here’s a joke.’ We have a disclaimer at the beginning of every episode. The disclaimer isn’t to tell listeners that this is horrible content, it’s called ‘Small Town Murder.’ Murder is horrible. The disclaimer is to tell you that there’s jokes because that’s what people are offended by. They are not offended by two people talking about someone getting their head cut off. I’ve never had anybody be offended at that, they are offended by the jokes. So the disclaimer is for humor. What do you say to the critics who believe that humor does not have a place? I totally understand that point of view and they’re entitled to that opinion. If anything they should definitely not listen to this show. We go out of way to not make jokes at the expense of the victim or their families. We really try to do that as best we can. Sometimes, people are living crazy lifestyles and jokes will come from that, but we never joke about a dead person. If people don’t want humor at all, then there’s plenty of serious stuff out there. There’s Dateline and all sorts of really well done journalistic series. But we try to make it a little bit lighter and more palatable and offer something different. How do you discover the topic for each episode? For ‘Small Town Murder,’ I go searching for certain states, just to bounce around the map. So if I was in Maine last week, I’m going to go look for something maybe out west, down south or something like that. So what I’ll do is I’ll look for murder cases in that state, whether it be on Justia, which has a lot court of appeals rulings, or other websites. I try to find interesting cases and look for more information from there. It’s mainly geographical and then I go and look for different types of murders. If we had a husband killing his wife last week then you want to have something different for this week to keep the variety. How much research goes into each episode? I probably do around 20-30 hours or research on each episode. I find every stitch of information I can basically. A lot of it comes from court documents. Old newspaper articles are also helpful or articles you can find on Google. But mainly court documents and newspapers are my sources. Sometimes the newspapers will have incomplete information or can provide just an overview. The court documents give the most detail and from there I pick and choose which details are needed in the episode. How do you condense the 20-30 hours of research into one or two hours? I have written a bunch of screenplays, made a couple of independent films and I’m a comic. As a comic, you learn efficiency of language and efficiency of story. I try to boil it down to the least amount of information that you can give to get the most impact. Even if we have an episode that’s two and half hours, there’s a lot more information than that we have left out. What’s left out might be repetitive or it’s not that interesting or there’s a lot of legal stuff. While I find the legal stuff fascinating, you don’t want to go into dry legal detail in a comedy show because it kind of derails things. I try to condense the legal stuff into something that is easy for people to understand it and make it as concise as I can get it. In your opinion, what is main differences between a comedic story different and a journalistic one? How do you communicate such difference to your audience? We’ve said it from the beginning and we’ll say it a hundred times: ‘Listen, we’re not journalists, we’re not attorneys, we’re not investigators, we’re not anything like that.’ We’re comedians doing our best to research a story and put it out there and give you the most accurate information we can, while trying to make some jokes about the stuff that’s reasonable to joke about. We’re not trying to act like we’re journalists and that we know how to research a story properly and do all that. I do my very, very best to get all the information I can and put it together how I know how, but that’s not necessarily the proper journalistic way to do so. What is the basic narrative arc that you try to hit each episode? The order of the narrative can vary. Sometimes we start with the murder first or we start by telling how two people first met. The arc depends on the case details. I try to start it off different every time so that the audience doesn’t know exactly what’s coming. So if I’m talking about someone in the beginning, there’s uncertainty about whether this is the murderer or the victim, I try to hide it a little bit to make it entertaining. My biggest rule is that the cases I look for have to be complete. I don’t want any open cases because I feel like every episode needs to have its own ending. It needs to be wrapped up by the end of the episode. The stories of missing people are great and interesting, but it’s hard to do that in an episode and be like, ‘I don’t know, they’re still missing.’ It’s not really all that fun if you’re listening for two and half hours and get no resolution. The set-up of the podcast, it appears as though you do all the reporting and Jimmie is there for reactional purposes. Is that staged or does Jimmie have no idea what the episode’s topic is going to be? Jimmie has absolutely no clue. When we sit down, I don’t even tell him where the case is going to be. Once in awhile, if there’s something crazy like the ‘Baraboo’ episode, I’ll tell him, ‘Oh my god, this a circus town and it’s insane,’ but that’s the extent of it. As far as what the case entails, he knows nothing of that whatsoever. It’s all surprise. If he knows anything, then he can’t react naturally. So he’d rather not know what we’re doing because it just works out better that way. Basically, Jimmie is the audience, that’s what we’re trying to do. Jimmie reacts how the audience would react. Why do you think your podcast is a success? I don’t know. I have no idea honestly. I mean people love murder, that’s just all there is to it. They like crime stories, they like stories of murder, they like thinking about what makes someone do that. Law and Order has been on the air for like almost 30 years; people love stuff. And before that, true crime books have been huge. It is what it is. I think maybe it’s our humor. Jimmie and I try to be ourselves, we try to be natural. People have told us that some part of the liking of the show comes from Jimmie and I having great chemistry together. We’re pretty fun, but I think mainly it’s the subject matter. People like murder. People are twisted in that way. Elisely is a student at Northeastern’s School of Journalism.